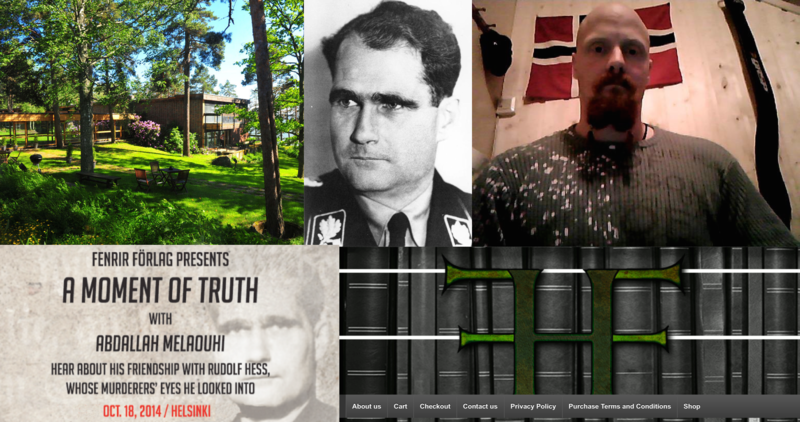 NORDIC EXTREMISM – PART 3: Fascination with Rudolf Hess, an architect of Hitler’s Third Reich, drew some 30 neo-Nazis from around Scandinavia to a secret meeting in Helsinki recently. Among those attracted to the event was the Norwegian extremist Ole Nicolai Kvisler, a convicted race-hate killer. The centerpiece of the conference on 18 October was a lecture by Hess’s nurse, Abdallah Melaouhi, who claims the 93-year-old Nazi leader was murdered in 1987 at West Berlin’s Spandau Prison. 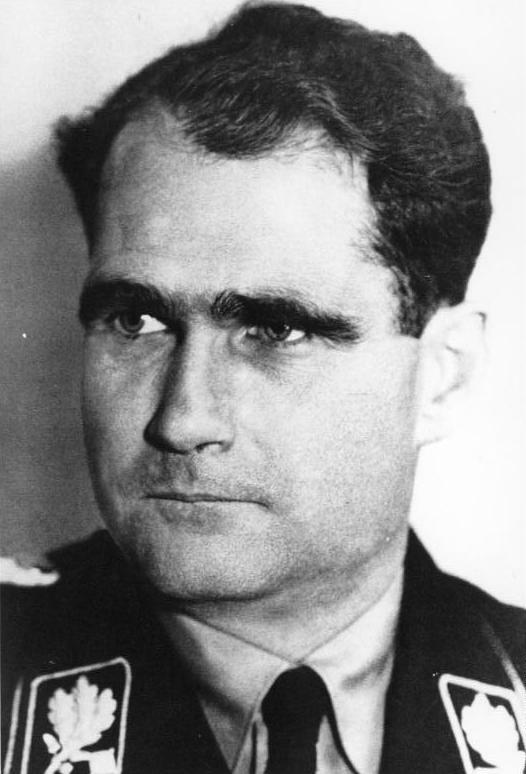 The official story is that Hess committed suicide by hanging, but in his book Rudolf Hess: His Betrayal and Murder, Moelaouhi insists that two British SAS soldiers killed him. 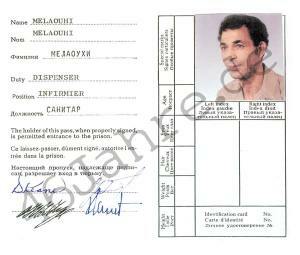 ID CARD: This was nurse Abdallah Melaouhi’s ID card when he worked at Spandau Prison in West Berlin. Fenrir Förlag of Sweden organized the meeting to mark its publication of Melaouhi’s book in Finnish. But instead of a mere book launch, the event became somewhat of a political meeting for self-declared Nordic national socialists, the publisher told Hate Speech International (HSI) and the Norwegian newspaper Dagsavisen. According to Fenrir Förlag, the 30 or so participants at the Helsinki meeting included a delegation of four or five Norwegians. The Nazi meeting was called “Moment of Truth”. For security reasons, the organizers chose not to disclose openly where the meeting was to take place. Instead, they sold tickets and then privately informed each participant where to meet up. HSI/Dagsavisen has nevertheless managed to ascertain that the meeting was held at the Best Western Hotel Rantapuisto, at Ramsinniemi in eastern Helsinki. The publishing house said it communicated closely with Finnish police in advance of the meeting, due to fears that leftist activists would attack the participants. The choice of a relatively secluded venue was also said to be a security consideration. Organizers originally booked the organizer a meeting room for 100 people. Due to poor response, the event was later moved to a smaller room. Were you disappointed that more people didn’t come to the meeting? “In Germany, we’ve had several hundred people at similar meetings. But it could be that many people had already heard the presentation,” she replied, claiming that the publisher made ​​it clear on the website that the event was not meant to be a political meeting. Pictures posted on Facebook by Norwegians who attended the meeting largely confirm the organizer’s estimation of the size of the gathering. HSI and Dagsavisen have also confirmed that the most prominent Norwegian neo-Nazi attracted to the meeting was the 35-year-old Ole Nicolai Kvisler. He was released from prison last year after serving 12 years of a 17-year sentence for his role in the racially motivated murder of Benjamin Hermansen, a Norwegian-Ghanian youth, in Oslo’s Holmlia district in 2001. In an interview, Kvisler would neither confirm nor deny his attendance at the meeting. However, HSI and Dagsavisen possess online screenshots and copies of status updates from Kvisler’s Facebook wall posted before and during the trip to the Finnish capital. On 29 September Kvisler posted another status update about the event, offering to serve as a travel guide and to make practical arrangements for those who wanted to go. During the trip to Helsinki, Kvisler took several pictures that he published on his Facebook wall. He also posted a message upon return to Norway. FACEBOOK: Ole Nicolai Kvisler posted another message on his Facebook wall upon return to Norway. Another Norwegian posted a number of other pictures from Helsinki in which he tagged Kvisler. 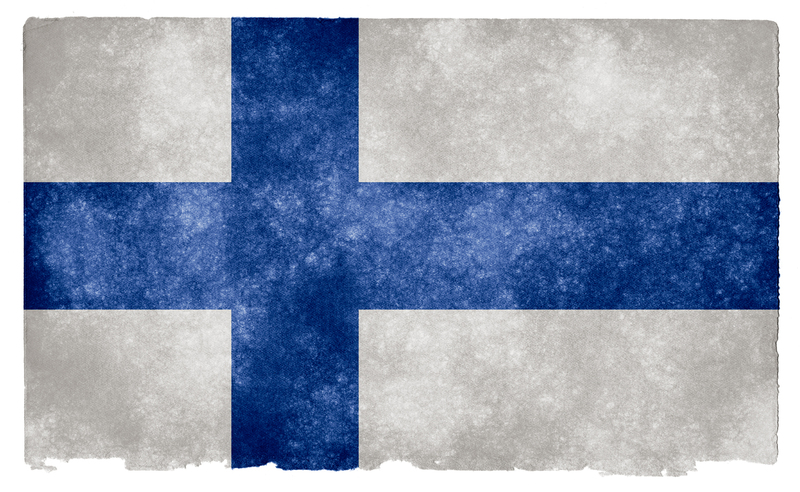 Under one of the pictures was an update, geotagged Helsinki, with a link to Kvisler’s Facebook profile. Ole Nicolai Kvisler had little to say when reached by HSI/Dagsavisen. Given that you were convicted in the Holmlia killing, lots of people wonder if you’re continuing in the same environment as before, or taking a different path. Do you understand that concern? By attending such meetings, can you understand why folks fear that you could end up later in life in similar situations, like you did in Holmlia in 2001? Are you still a national socialist? The organizer behind the meeting, Fenrir Förlag, is run by Petra Jesch, 38, and her cohabiting partner Esa Henrik Holappa, 29. The publishing house sells and markets a range of books that are popular among neo-Nazis and other right-wing extremists and conspiracy theorists. Jesch acknowledged that she and her partner sympathize with national socialist groups in Europe. Holappa is one of the founders of the Finnish Resistance Movement, a sister organization of the Norwegian Resistance Movement (often mistakenly referred to as Nordfront) and the Swedish Resistance Movement. Norway’s Police Security Service (PST) and its Nordic counterparts are monitoring Kvisler’s and his fellow neo-Nazi’s activities, according to information obtained by HSI/Dagsavisen. PST spokesman Martin Bernsen declined to comment on the information. PST warned about that sort of polarization in its latest national threat assessment. The newspaper Klassekampen reported on Wednesday – based upon information from Researchkollektivet INFO – that Kvisler attended a gathering organized by the Swedish Resistance Movement – or Svenska Motståndrörelsen (SMR) ­– shortly after his release from prison. This “Nordic Days” event, held in Dalarna County from 26-28 July 2013, drew neo-Nazis from across the Nordic countries. On the programme were sports activities and political meetings. The Swedish Security Service (Säpo) asserts that SMR is probably the most dangerous of the Swedish white-power groups. 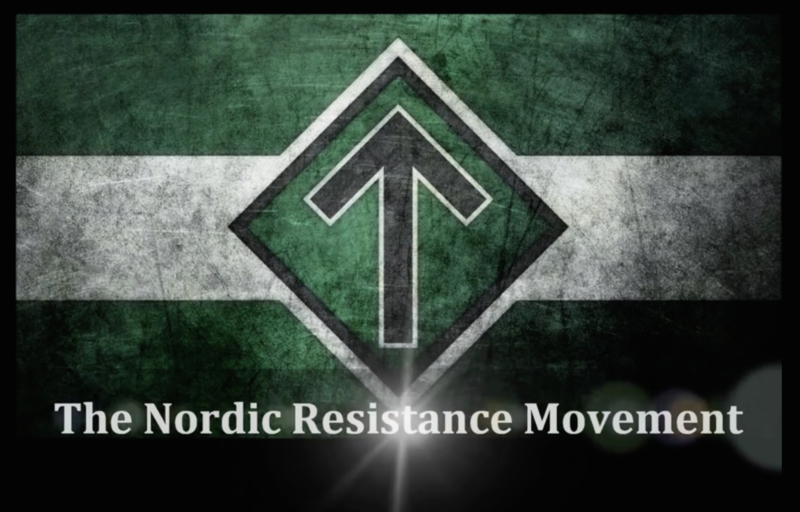 In the Nordic region, Sweden’s large neo-Nazi movement exerts a leadership role. In 2009, security service spokesman Fredrik Nilsson told nyheter24 that the group not only “commits criminal acts that are politically motivated” but “advocates the use of violence as a means to try to end Sweden’s mode of government”. Nilsson said the organization at that time did not seem to have specific plans for putting its ideas into practice, but he said some of its followers might engineer politically motivated violence. SMR is led by Klas Lund, who enjoys a position which can – for all practical purposes – be compared to being the führer, the German title of the position held by Adolf Hitler in the Third Reich. Like Kvisler, Lund has been convicted of murder. He also has a robbery conviction. The Swedish Security Service continues to maintain that the group is dangerous and has a “potential for violence”. Prominent politician in Nazi Germany. Appointed deputy führer under Adolf Hitler in 1933 after having been a member of the National Socialist German Workers Party NSDAP since 1920. At the outbreak of World War II he ranked third in Nazi Germany’s power hierarchy, subordinate only to Adolf Hitler and Reich Marshal Hermann Göring. Flew to Scotland on 10 May 1941 in an attempt to bring about peace talks between Germany and Britain. Was instead arrested and imprisoned by the British authorities. Hess was sentenced to life imprisonment during the Nuremberg Trials after World War II. 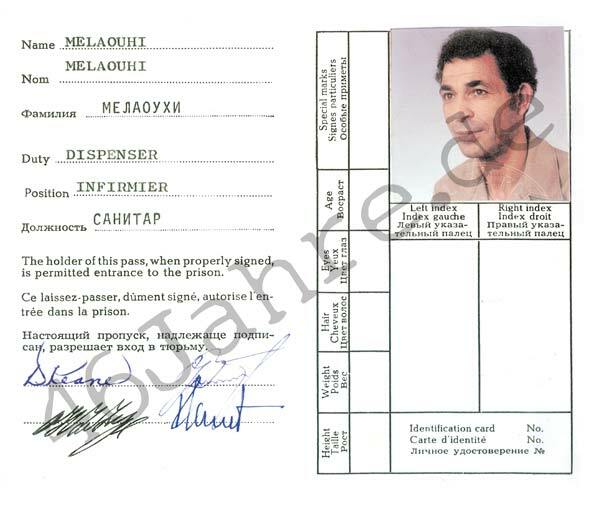 Served in difficult conditions at Spandau Prison in West Berlin, where he died on 17 August 1987 at the age of 93. The official cause of death was given as suicide by hanging. Family members and others, including Hess’s nurse, have argued that Hess was so debilitated that he could not have taken his own life in the way described. Some doubters say that a suicide note found near the corpse was actually a letter Hess had written when admitted for hospital treatment in 1969, 18 years earlier. Sources: Wikipedia and the news archive. MURDER VICTIM: Benjamin Hermansen, 15. Just before midnight on 26 January 2001, 15-year-old Benjamin Hermansen was stabbed to death in Holmlia, a neighbourhood of Oslo. An appeals court concluded that the murder was racially motivated, and that Hermansen was attacked for no other reason than his skin color. 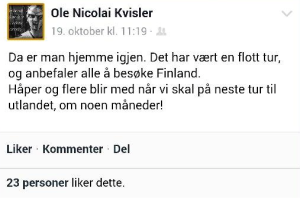 Neo-Nazi Ole Nicolai Kvisler and his then-girlfriend, Veronica Andreassen, were arrested by police the same night. Another neo-Nazi, Joe Erling Jahr, was arrested in Denmark on 1 February and extradited to Norway a few days later. All three were members of the Boot Boys neo-Nazi group. Jahr, Kvisler and Andreassen were sentenced respectively to 18, 17 and 3 years in prison for the murder. The murder of Benjamin Hermansen shocked many Norwegians. Some 40,000 people took part in a spontaneous demonstration in Oslo on 1 February 2001. Torchlight processions were held throughout Norway to express outrage over the killing. Renowned Norwegian neo-Nazi. 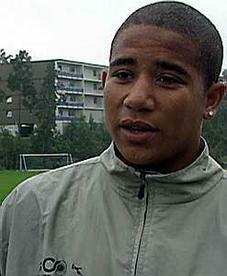 Former member of the Boot Boys. Sentenced to 17 years in prison for the murder of Benjamin Hermansen, 15, in January 2001. During the criminal proceedings, evidence indicated that it was Jahr and not Kvisler who was most active during the killing. Kvisler was defended by attorney Geir Lippestad. 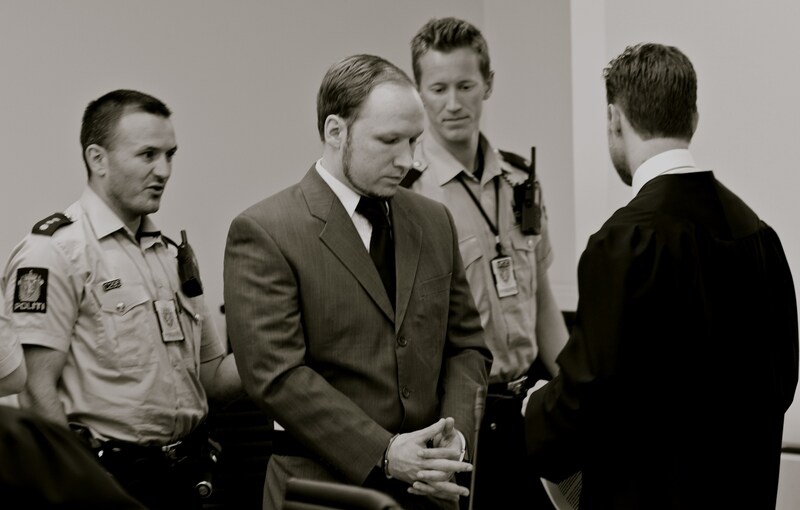 After the Norwegian terror attacks of 22 July 2011, defendant Anders Behring Breivik cited the Kvisler case to explain why he wanted Lippestad to represent him. Kvisler completed his sentence for the murder conviction last year. Editorial partnership: This article is a joint project of the Norwegian daily newspaper Dagsavisen and Hate Speech International (HSI).